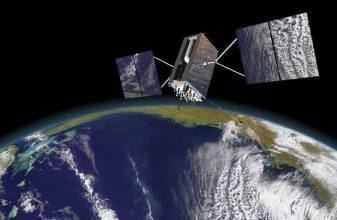 It will be a busy few weeks for GNSS satellite launches in January and February. Up next is the Wednesday (January 20, 2016) is a launch of the fifth spacecraft for the Indian Regional Navigation Satellite System (IRNSS). The Indian Space Research Organization plans to complete the IRNSS constellation with two additional launches in February and March. The U.S. Air force will launch the 12th and last GPS Block II-F spacecraft on February 3, a delay from its original January 26 date. This will be the last GPS satellite launch until the first GPS III spacecraft is sent up, now expected to be in the first quarter of next year. On February 7, Russia will launch a GLONASS-M satellite on board a Soyuz-2.1b rocket. The scheduled launch to take place from the Plesetsk Cosmodrome had been postponed from December 29. Russia abolished the Federal Russian Space Agency as of January 1 under a reorganization plan approved last July. It has been replaced by the State Corporation for Space Activities, which retain the Russian designation of Roscosmos. Sergey Karutin, deputy director of the Central Research Institute of Machine Building and head of its PNT Center responsible for GLONASS operations, told the 10th annual meeting of the International Committee for GNSS (ICG) in November that Roscosmos will publish the technical details of all modernized GLONASS-K signals in 2016. 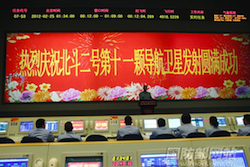 Also in February, China is expected to place another BeiDou satellite into orbit. This will be the first of three planned BeiDou launches in 2016, according to comments made by Chengqi Ran, director of the China Satellite Navigation Office, to the ICG meeting. Later this year, the European Space Agency hopes to execute its first four-satellite launch on board a modified Ariane 5 ES rocket in October.